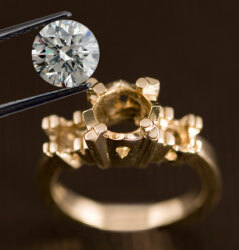 We will replace your original diamond’s free of charge, if lost from the mounting due to manufacturers defect. All we require is that you bring in your diamond jewellery for a free semi-annual inspections and have your inspection record signed. We also offer a 30 day exchange policy, lifetime free bi-annual ultrasonic cleaning and inspection. Bakelaar’s guarantee your gemstone against changing color or breaking under normal wear conditions, for five years. This warranty covers each item of fine jewelry for defects in manufacturing only and expressly excludes coverage for excessive wear and tear and/or physical/accidental abuse, loss of precious stones and theft. Improper repair or warranty service performed by someone other than Bakelaar’s will void this warranty. From time to time, Bakelaar’s may, at its sole discretion, exchange products or portions of a product. Lifetime free Cleaning and Inspection Program.